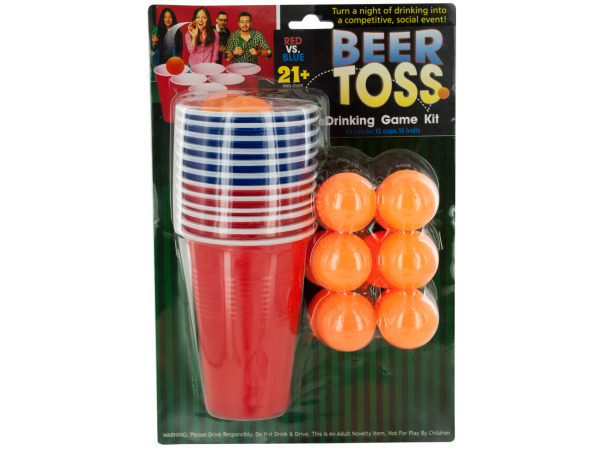 Turn a night of drinking into a competitive, social event with this exciting Beer Toss Drinking Game Kit. Red cups play against blue cups in a challenging game of taking shots at the other team's cups with plastic balls. 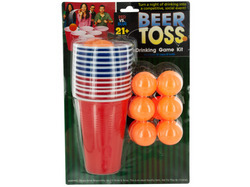 Kit includes: 12 cups and 18 balls. Game play instructions included. For 21 and over. Comes packaged in a blister pack.